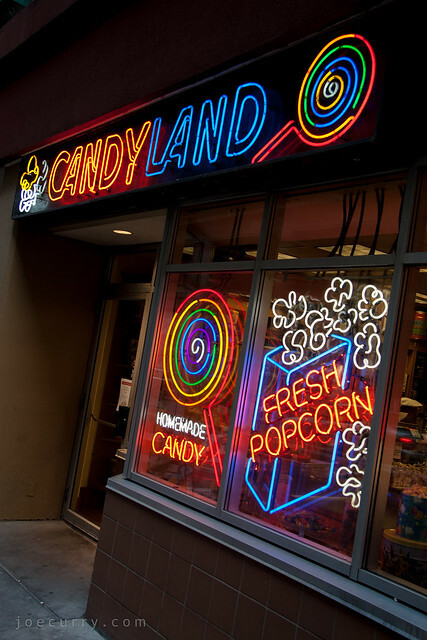 Numerous people have mentioned Candyland in conversation over the past couple months, and I had no idea what they were talking about. Two weeks ago, I finally stumbled upon it and found it was only two blocks from my office on a street I rarely travel on. There are no Gumdrop Mountains, Gramma Nutt or Queen Frostine, but there’s a delightful spread of sweets and salty snacks. I went for a box of popcorn, which was delicious. I’m convinced freshly popped popcorn will raise your spirits on any day.